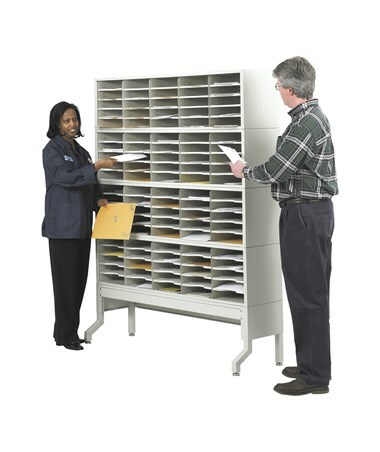 The Safco E-Z Sort Sorter Module is a stackable mail organizer that can also be used to sort, store and organize all kinds of documents and files. 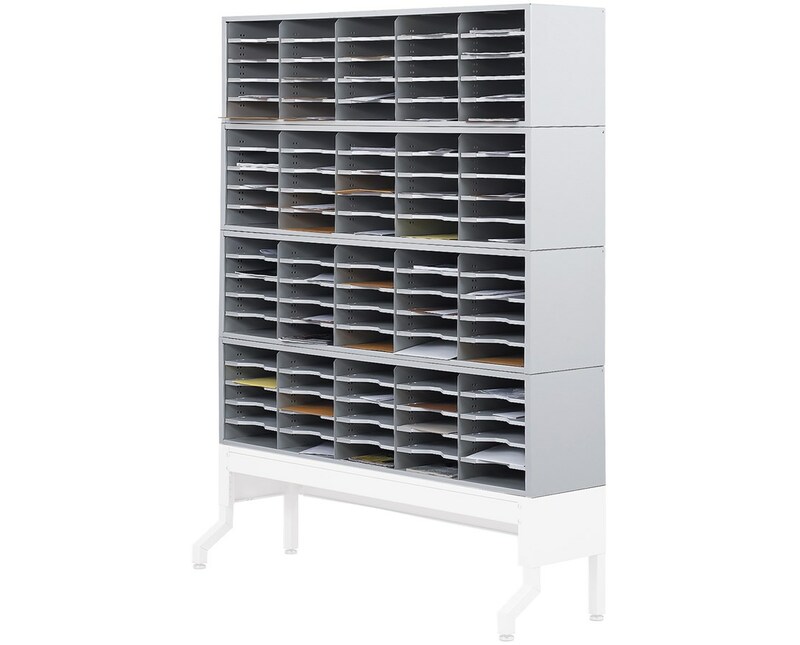 It has 25 plastic shelves that are 11 inches in size. 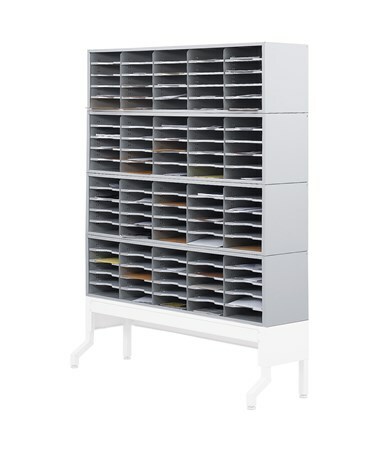 It also has 20 molded compartment mail shelves, each with finger cutouts and label holders. 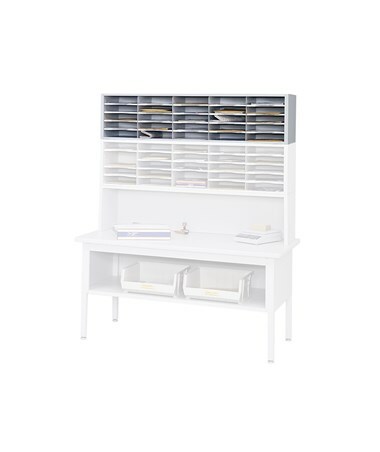 This extra-wide mail organizer can be used as a stand-alone unit or stacked. Its shelves can be adjusted with ¾-inch increments. The E-Z Sort comes in different parts, which are sold separately. 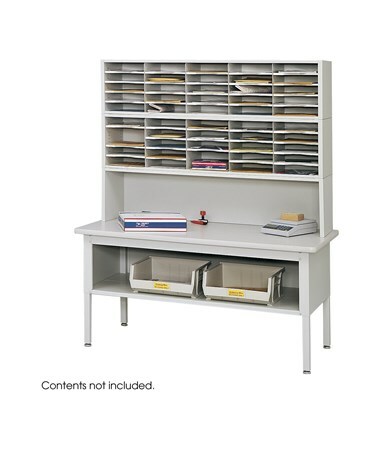 This includes a sorter, additional mail trays, tabletop, sorting table base, a mail station base, and a riser. 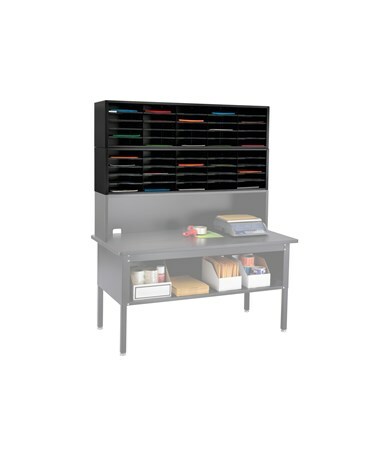 They are all constructed from durable heavy-gauge steel has a powder coat finish for durability. These parts meet BIFMA safety standards and are GREENGUARD certified for low chemical emissions. 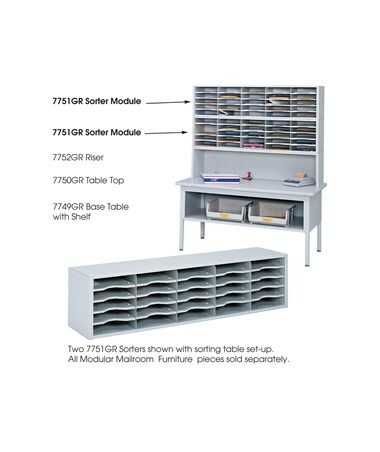 The Safco E-Z Sort Sorter Module is available in two different colors. Please select your preference from the drop-down list above.